I got a job in the craft beer industry. I did it for 6 months. I quit my job in the craft beer industry. It’s not always as simple as that. There are very few jobs that are exactly and only what you love (as well as drawing, a cartoonist has to market themselves, meet deadlines, liaise with publishers; as well as playing music, a musician has to plan shows, organise finances, deal with venue owners, etc). I am fairly certain there is not a single job that will pay me to drink coffee on the couch with a book, potter around the garden with few results, and then eat chips and drink beer while espousing my opinions loudly. 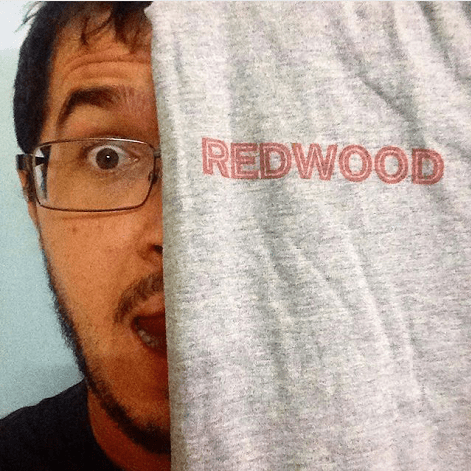 Still, when someone emailed me through Schoonerversity with the offer of a sales rep job with Redwood Distribution, I leapt at it. Well… yes. I do love talking about beer. But guess what? 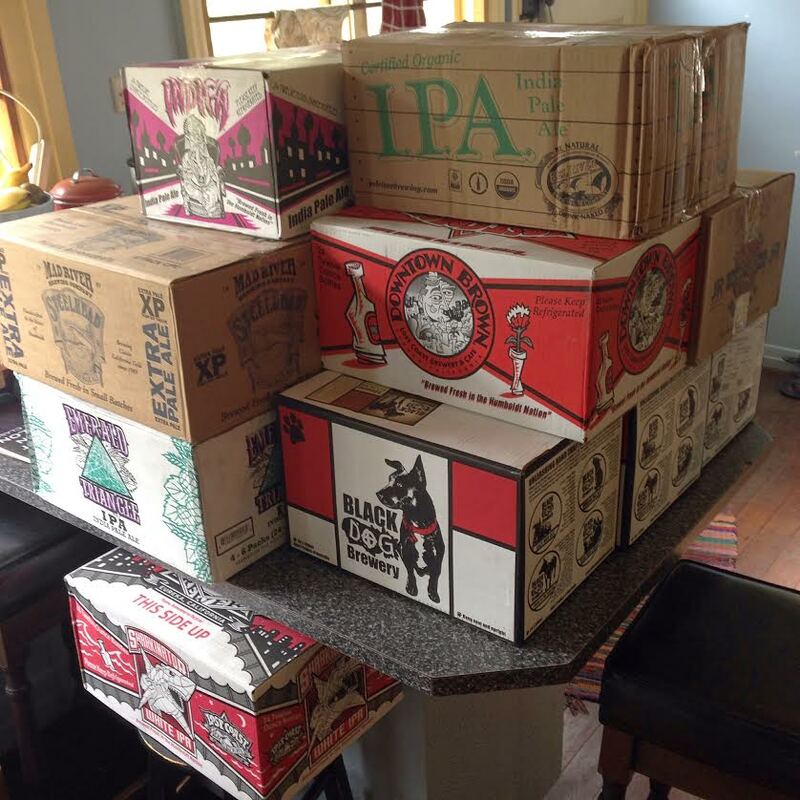 It turns out that sales reps do not ONLY talk about how good beer is. (The times when the job involved this—LOVED IT.) They also have to keep heaps of admin. And deal with an awful lot of problems. And chase up a billion leads that go nowhere. And deal with a load of rejection and changed minds and sorries and non-replies. And meet targets. Which all makes complete sense, and which I should have expected (and kind of did, even if I talked it all down in my head). 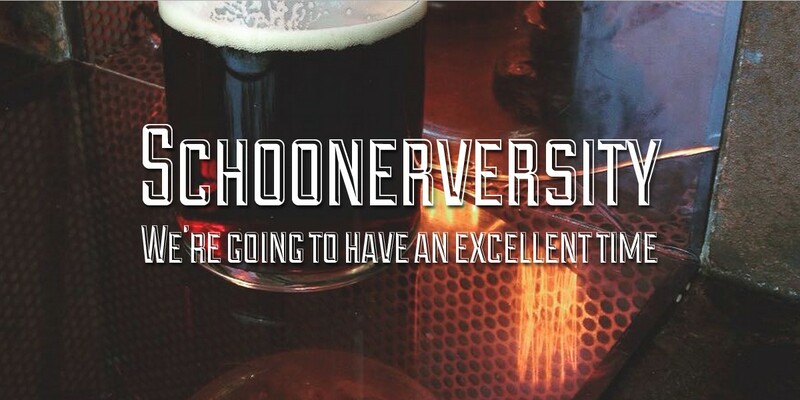 I didn’t write a single thing here on Schoonerversity for 6 months. Not sure if any of you missed reading it… but I missed writing it! The problem wasn’t that I was sick of beer, or anything ridiculous like that. (“Yes, I’m sick of beer now. Also sick of puppies, chips, and oxygen.”) It was simply that my brain was hijacked 24/7 by sales repping. Just the nature of the beast, unfortunately. I had no capacity left in my head for creating. And so for 6 months, I didn’t create. I didn’t blog, draw, garden, or crochet. (Okay so I’ve never crocheted before. But it was certainly never going to happen while I was sales repping.) While you waited with bated breath, anxious that you hadn’t seen a post for ages (“Maybe if I hit refresh one more time…”), I was likely on the very laptop I could be blogging on… but working with a spreadsheet or checking stock or sending emails or something else that isn’t blogging. Or I was ‘not working’, but thinking about work. That happened a lot, too. So at some point, I decided to leave it. It wasn’t a great fit for me, and I wanted my brain back. The new venture I’m beginning requires it. For all my whingeing, though, let me be clear that there was a buttload of stuff I loved about repping. I won’t diagram a buttload, but I’ll list off five things here. 1. Perks. There were definitely some perks. This is always the first thing people ask about. While I wasn’t swimming in free beer as I had dreamed, I did get to sample a bunch of the amazing beers in my portfolio and go to a couple of events for free. La Sirène dinner with the brewer, Costa. I have some beautiful memories of that evening… and a few foggy ones. It’s important for the rep to get these things to do the job well… and it’s also a pretty sweet deal. Not all of these beer samples were for me… but some were. 2. I got to peek behind the curtain of the craft beer industry. Though the average punter can sometimes get into a chat with bar staff/venue owner/store manager/brewer and learn a few things, for the most part the consumer only gets to see the beer industry from a certain angle. That’s pretty standard in every industry. But it’s always interesting to peek behind the curtain, look under the hood… whatever analogy you want to use for ‘see how it works from the inside’. For example, sometimes an awful lot of thought and planning goes into what’s on tap in a bar. I chatted with Tim from The Scratch once while he was working on his beer calendar, and deciding which beers would go on over a month. He took into account styles, ABV, breweries… it was a very well thought out process. 3. I got to know some rockin’ people. 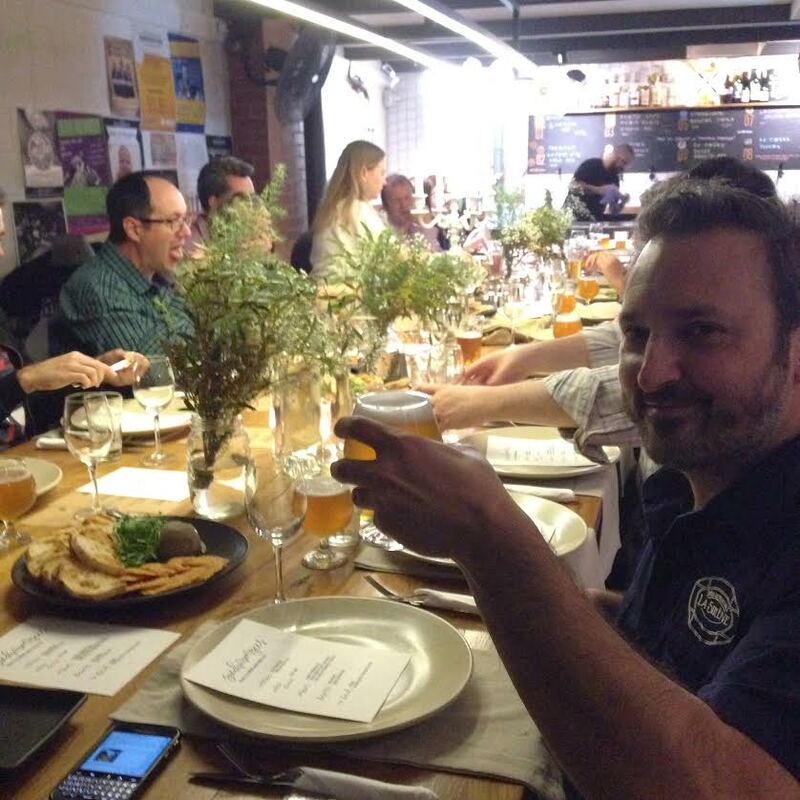 Why are so many of the people who work in the craft beer industry so awesome? I don’t know. It’s a mystery as old as beer itself. But they are. And it’s great getting to spend plenty of time with them as part of your job. Sir, please don’t provoke the bar owners. 4. What’s hard for the rep is good for the consumer. You know what’s extremely difficult about being a craft beer sales rep in Brisbane? There are an awful lot of excellent beers around. 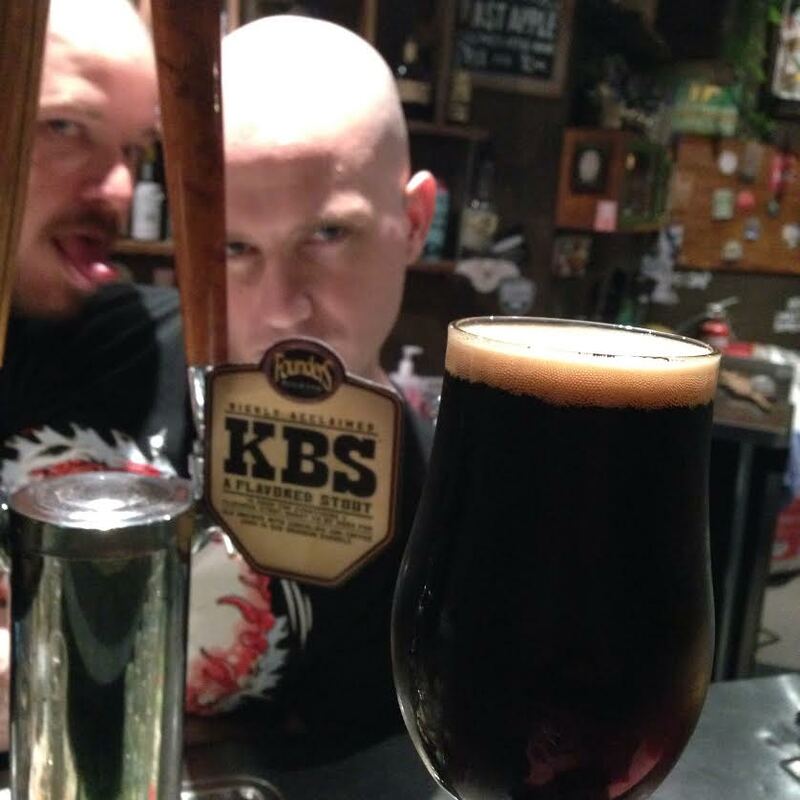 You know what’s fan-freaking-tastic about being a craft beer lover in Brisbane? There are an awful lot of excellent beers around. 5. I grew a greater appreciation of the champions who work in the craft beer industry. There is so much mundane legwork, so much crap to be dealt with, so many hurdles to be overcome, so many times you want to rip your hair out… but people deal with this (for much longer than I did!) so that we can drink and enjoy all the incredible beer we want. 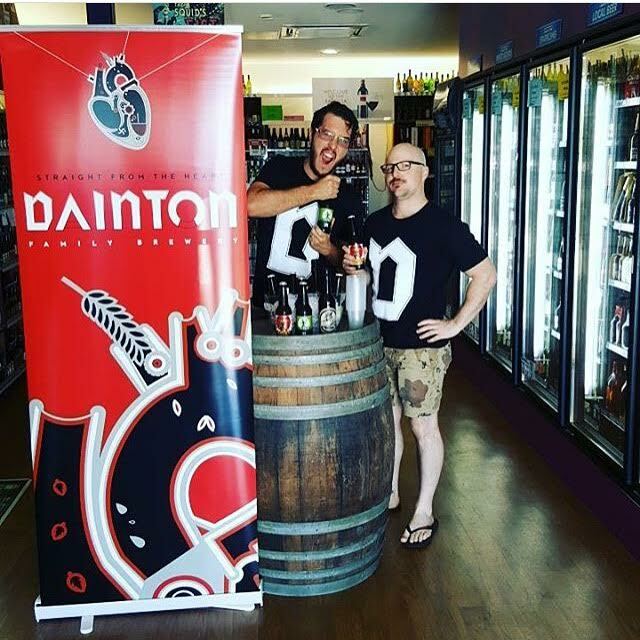 Dan Dainton – Brewer, opera singer, and all round top bloke. To the brewers, the sales reps, the bar owners, the venue managers, the bar staff, the bottle shop workers… You’re the real heroes. We would salute you, except we have a beer in each hand and don’t want to spill any. Enjoyed this read Mick. When I think about it there are a few reasons here that I probably sub consciously experienced given I was already in sales in another industry and the expectations of both would have been weighing on my mind. Best of luck in wherever you’re headed now hope to keep in touch. Glad to hear it, Ferg! It certainly wasn’t an easy gig… but I’m so grateful for the experience. It definitely broadened my perspective of the industry! Also: the beer was grrrrrrreat. Shhhhhhh I haven’t told everyone here about WWY yet!